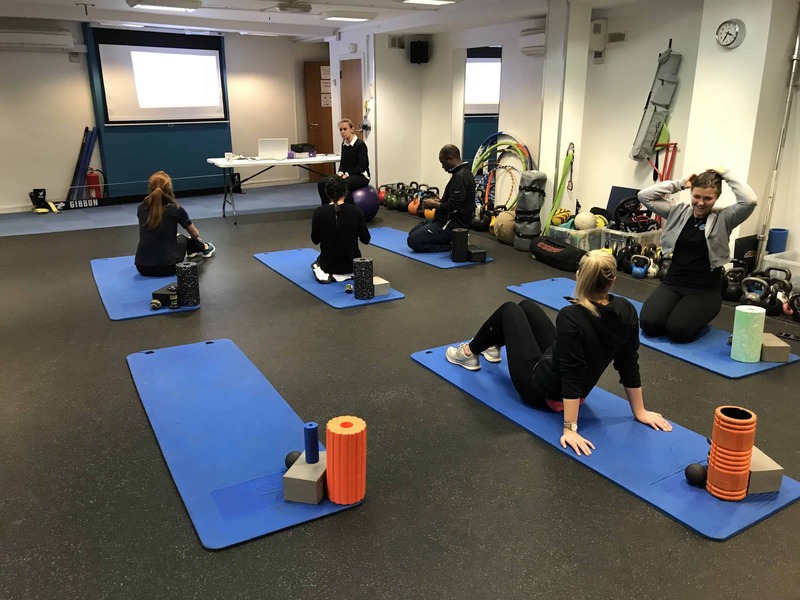 Our Roll and Recovery Class is held every Thursday evening 8:00-9:00pm and every other Sunday at 10:00am in Balance Performance’s Clapham studio. It is a FREE class and you do not have to be an existing client at Balance to come along. Just come to Balance SW4 6LE: be ready to find a position, breathe, move on various rollers and massage balls (softer and denser materials and vibrating versions too). Breathe and Let Go! Learn the most effective techniques to relieve tension, promote recovery and enhance performance. Understand best positioning, breathing and movements associated with your tightest and most dysfunctional areas! Learn how to use the self-massage tools you already own and understand how other tools can be used when you are ready to progress. 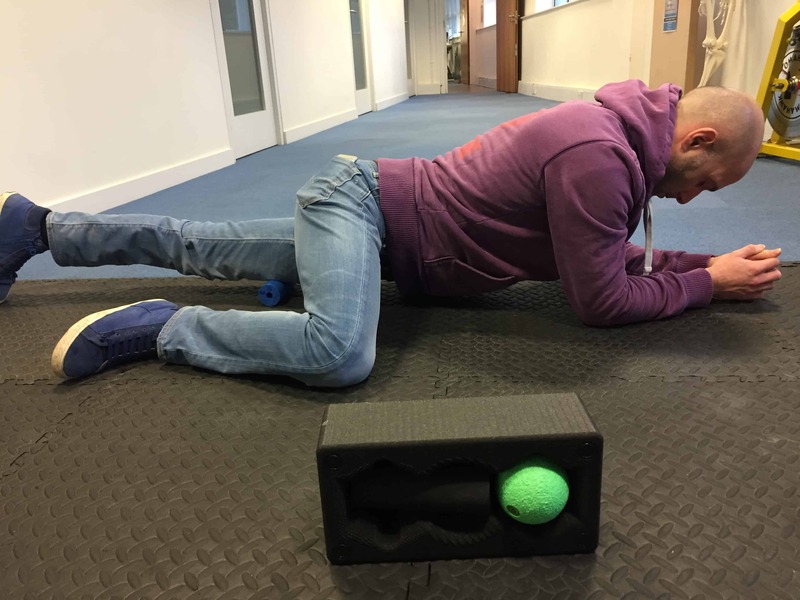 The principles are largely the same whether using a generic foam roller, a massage ball or more specifically shaped tool designed to work key areas. 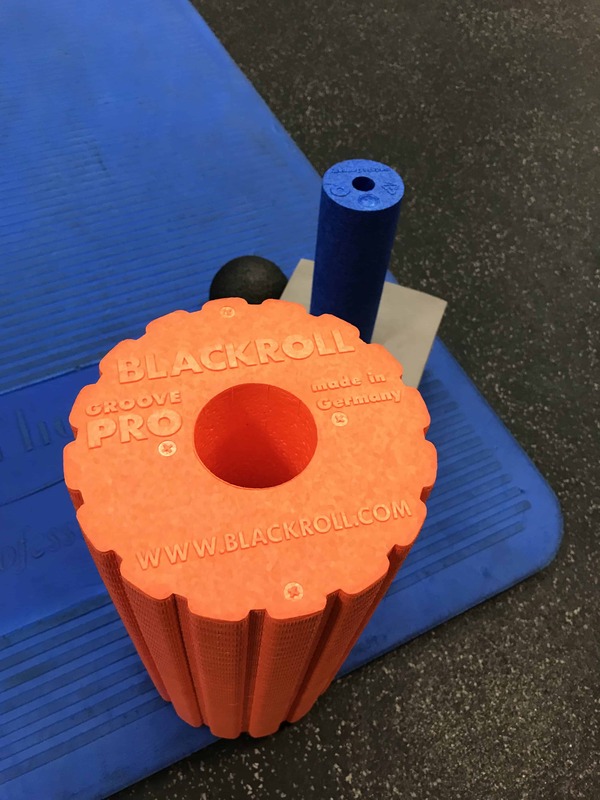 We use BlackRoll’s full range of fascial tools, a range of TriggerPoint Therapy kits, the Back Nodger, and PulseRoll rollers and peanut ball using vibration for easier and faster release. Hard rollers, grooved rollers, single and duoball, smaller and larger massage balls as well as lacrosse balls are all available in our shop. Cheap doesn’t always mean ineffective if you have the know-how, so a lacrosse or spiky ball may suit you. This said if you understand the techniques, the benefits of letting go of tension, and have realised that this an ongoing practise to be embraced then invest in a PulseRoll roller or ball. You’ll find that vibration alongside good positioning and breathing offers additional benefits. We can also connect you with even higher end self-massage equipment such as HyperVolt. Effective technique is a combination of a simple, but conscious breathing technique to stimulate recovery; appropriate selection and positioning of the massage tools; and subtle movements (as opposed to indiscriminate “rolling” and fidgetting!). This provides pain and tension relief for your head, neck, shoulders, back, pelvis and hips, upper and lower limbs. In turn recovery is enhanced and movement/performance improved. We have been teaching self-help classes for mobility and soft tissue health for over a decade. But this class has been updated and modified many times and continues to evolve as we learn more. Currently taught by physiotherapist Joe and occasionally by others on our team – each one a knowledgeable teachers – physiotherapists and osteopaths – experienced and trained in self-soft tissue release and myofascial compression techniques. 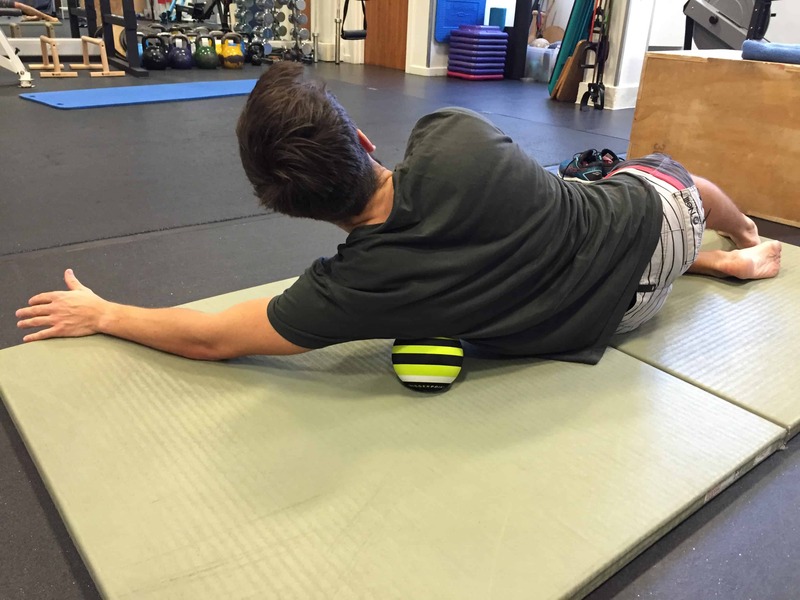 All techniques that can be applied by you using any brand of foam roller, massage ball or other self-massage tool innovation. We are passionate about empowering you to take care of yourself and sustain excellent health across your life span. We know that when our bodies hold an excess of tension (a feature of all sports injuries, episodes of back and neck pain, experiences of mental and emotional stress) it create pain and dysfunction which contribute to the development of poor movement patterns and disrupted body awareness. Over time this gradually leads to an increased load on joints and limit the potential of movement and performance, physical mental and emotional expression. At Balance Performance we understand and promote the need for excellent health, wellness and the importance of being STRONG, FLEXIBLE and FLUID IN MOVEMENT for your everyday life, in sports and challenging events. FREE class for Balance Performance clients: learn the most effective myofascial self-care techniques, self-soft tissue release for recovery. It may be a FREE class but the quality of instruction is high, the techniques are are highly effective: this session is actually INVALUABLE and essential for rehab, recovery, and preparation to perform or train. NB. You need to book in on this class - call 02076272308 and let us know your coming. Also available on Sunday mornings every fortnight. Online appointments are available to both new and existing clients. Balance Physio Clapham treat, empower and move our clients to live healthier and perform better.